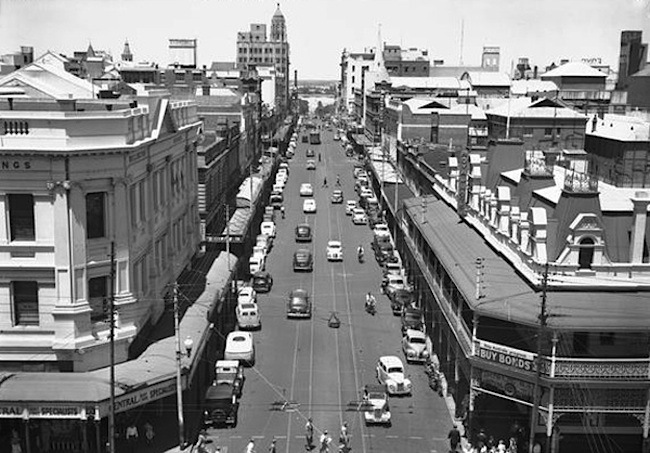 Much of the central business district of Perth has been demolished. 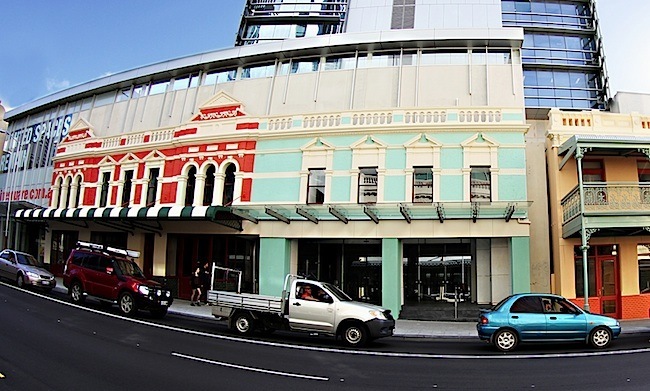 William Street has lost many of its old buildings, starting with Temple Court and the Embassy Ballroom, the Capitol Theatre and all buildings up to St Georges Terrace. Then everything on one side of the street from the AMP, Goode Durrent and Murray, Viking House, then the Metro Theatre and the considerable changes resulting from the Raine Square development. 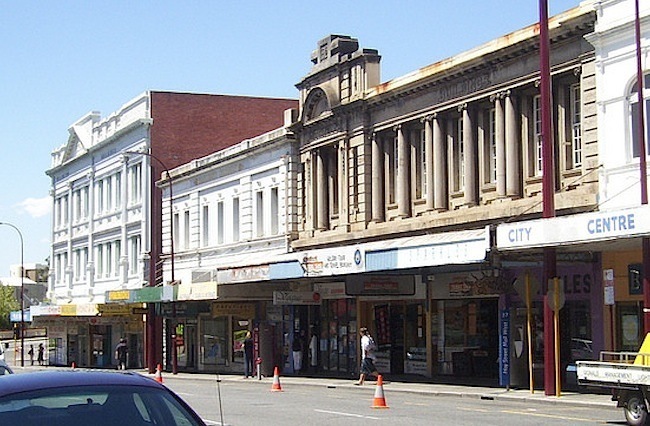 The opposite side of the street was impacted by the One40William Street development. No doubt these developments will be welcome by the younger set as they eradicated once attractive structures that had been neglected and lost their original sparkle. Yet the treatment of the Mitchell’s Building is a fine example of how new life can be given back to prestigious looking old facades. Meanwhile, there are times when the heritage antics of our elected representatives needs greater public scrutiny, as issues often only come to a head around election time. A week is considered a long time in politics, and a reliance on the public having a short memory has allowed governments to give a low priority to matters of our inheritance. Factors related to big business and development at any cost often override the humble issues of the common people, unless their votes be crucial at a given time. Too often worthy heritage related ventures get a raw deal owing to the fickle nature of the people in power. Casualties include the Fremantle Motor Museum, the Fremantle History Museum, the Light and Sound Discovery Centre at Fremantle and Western Power’s World of Energy museum at Fremantle. Not all historic buildings get to be kept, and some that do end up being significantly modified for their new life. 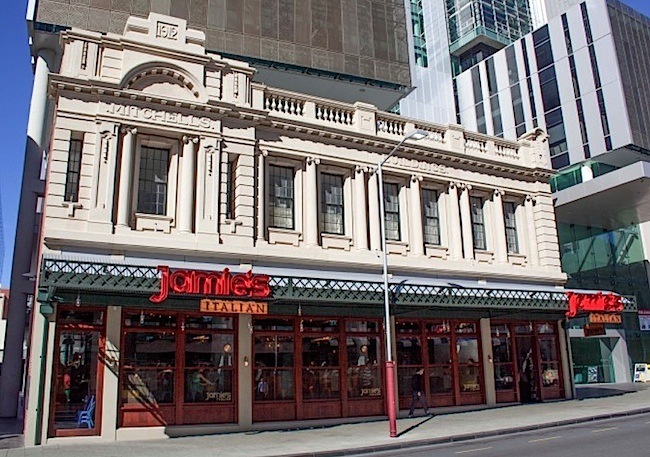 The 1912 Mitchell’s Building facade was kept whilst the actual building behind it was replaced, yet this restoration tastefully maintained a sense of authenticity. In contrast, on the opposite side of the street the replacement buildings are of a modern style, which makes the older facade appear more like a Hollywood back lot set, rather than the grand architecture it once was. In 1986, a National Trust classified worker’s cottage built in 1863, originally at 70 Roe Street (eastern corner of Roe and Lake Streets, Perth), was dismantled when the site was being redeveloped. 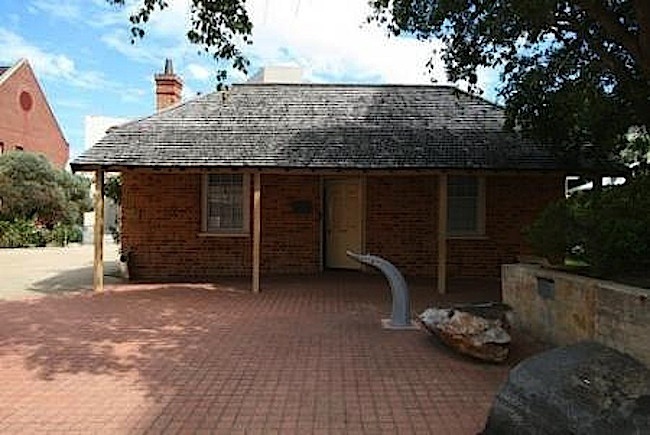 In an effort to retain this important example of urban history, the dismantled cottage was kept in storage by the Perth City Council and relocated brick by brick to the WA Museum site in Northbridge, as an employment project in 1991. It was during this period that Reg Withers was Perth’s Lord Mayor (from 1991 to 1994). 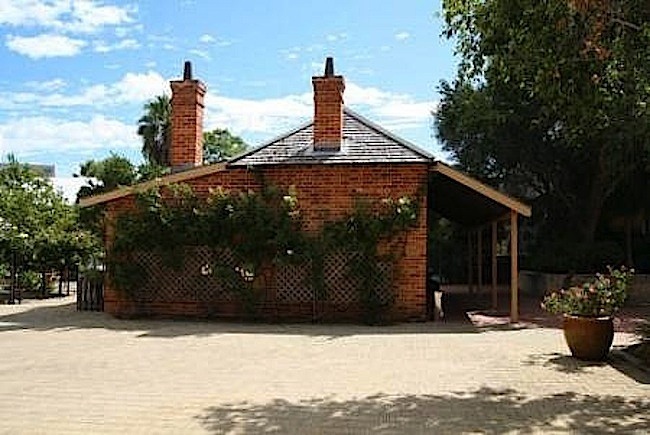 In 1993, The Arts Minister Peter Foss (from 1993 to 1999) formally accepted the keys to the cottage from the Lord Mayor and congratulated him and the Perth City Council for their foresight in preserving this important example of urban history. The relocated cottage was intended as a local history centre. Instead, the WA Museum used it mainly as office space. It was promoted as a tourist attraction on several websites, including that of Tourism WA. The cottage was flanked by the old jail and the former Battye Library building. The cottage was owned by the City of Perth and the Museum agreed to have it rebuilt on its grounds on the understanding that it was a temporary solution, as there were plans to redevelop the site at a future date. It was expected that when a suitable location was found, the City of Perth would relate it once again. But when the time came, the City of Perth had apparently exhausting its options to relocate the cottage, so asked the project team to remove the cottage as part of the Museum’s Francis Street building demolition project, which was completed in October 2011. The Lord Mayor at this time was Lisa Scaffidi. Neither the Perth City Council, the Heritage Council nor Tourism WA raised an objection to the demolition of the cottage. Some of the cottage’s original bricks were salvaged and may be used to repair the Museum’s Old Gaol building. Both buildings were built in the 1850-60s, with the gaol, built in 1856, being the original building on the Museum site. Nowadays, only the dedicated are involved in saving relics of bygone eras, for treasuring the past seems to be increasingly unfashionable. Even Fremantle, the bastion of all thing old, evicted the Fremantle Motor Museum from B Shed Victoria Quay. 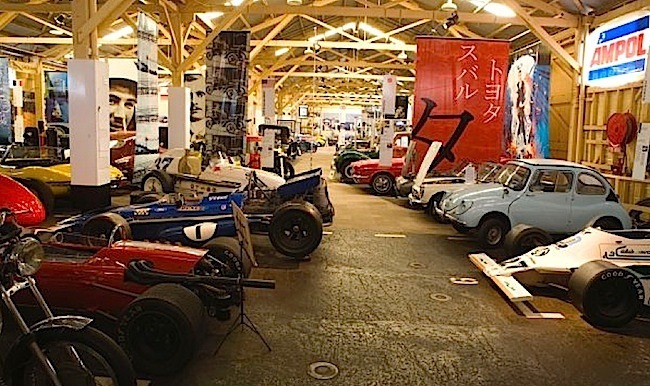 The Museum was established in 1984 with one of the nations rarest collections. Mr Peter Briggs lost millions of dollars establishing the Museum, though the biggest losers were the WA community, the people of Fremantle and the tourism industry, when the Fremantle Port Authority terminate the lease in 2008. 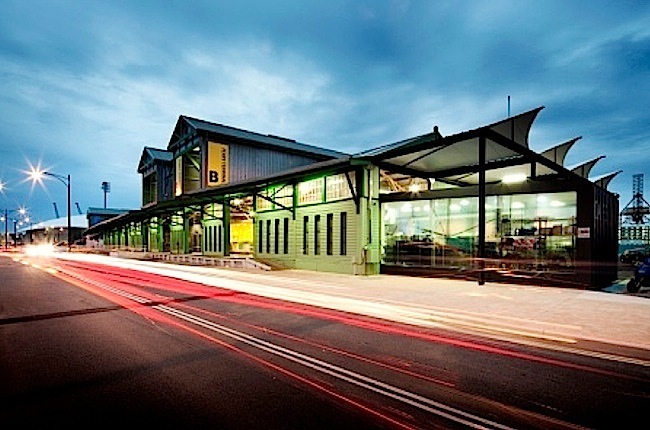 The historic B Shed then underwent restoration and refurbishment in 2010, and an area of about 600m² at the building’s eastern end now houses a ferry terminal and café with an alfresco deck. The upgrade includes modern offices for the ferry operators. Then the State Government evicted the Fremantle History Museum and the Light and Sound Discovery Centre from the former lunatic asylum in 2009. 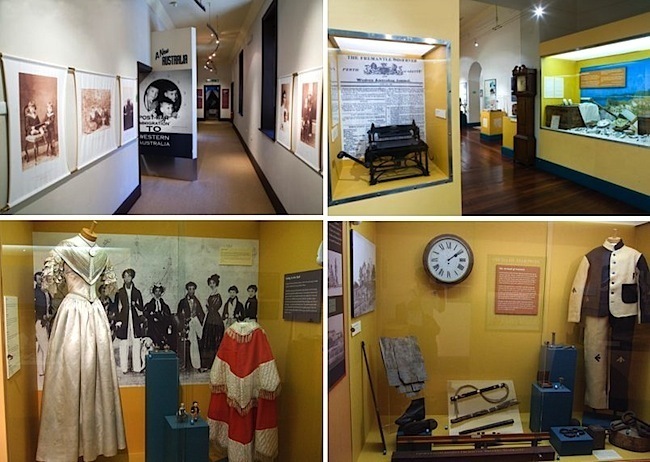 As a branch of the Western Australian Museum, the Fremantle History Museum housed exhibitions that reflected aspects of WA history, with a special focus on Fremantle and its communities. Exhibitions were changed each three months. On closure, the objects and artefacts that were on display ended up at the WA Museum’s Welshpool storage depot. The Fremantle Light and Sound Discovery Centre was a tourist attraction, which also provided a science experience and learn centre that used historical gadgets to provide a real context learning experience. Richard Rennie, a qualified Science teacher, ran the school programs from the venue, on a cost recovery basis. 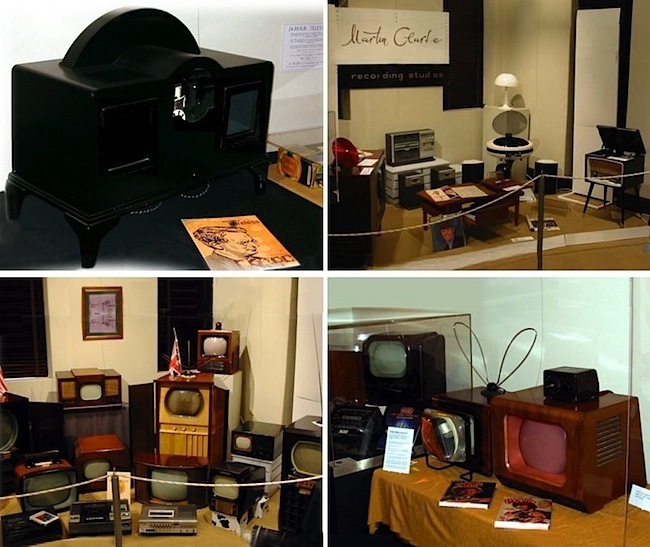 There was an ever changing variety of exhibitions, with some presented to coincide with anniversaries, such as the anniversary of the introduction of television in Western Australia, the invention of the cinema and of the phonograph. Although the gallery is now closed, Richard Rennie is still doing school holidays programs at the Wireless Hill Museum. 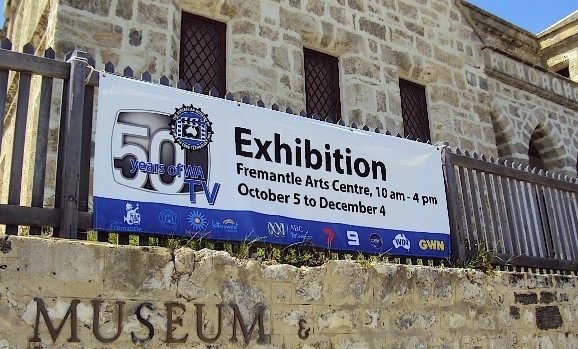 The last museum related activity to take place at the former Fremantle Lunatic Asylum was the Australian Museum of Motion Picture and Television (AMMPT) exhibition in 2009 to commemorate the 50th anniversary of television in Western Australia.